Calculator Hero is a powerful and beautiful Calculator. It not only provides all the arithmetic, but also supports many scientific functions, such as the root, power, exponential, factorial, logarithm, and other operations. Besides, you can also be trigonometric computing. And you are allowed to enter a long series of calculations and then get the accurate results. Although it is powerful, the operation is very simple due to its big buttons and the character of rotation. 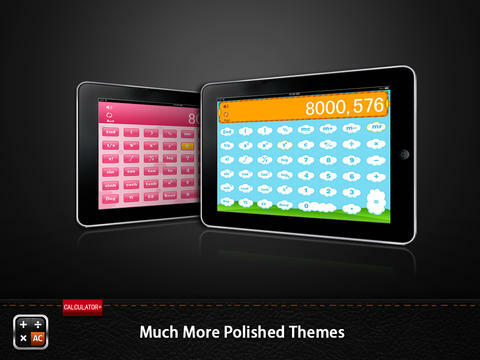 And we are sure you will be attracted by this calculator because of many kinds of themes for it. You can choose one of them that you like best. In short, you could not tear yourself away from this calculator. ▪ All the arithmetic, such as addition, subtraction, multiplication, division, etc. ▪ Providing most of the trigonometric functions: sin、arcsin、cos、arccos and so forth. ▪ Supports many scientific functions: including the root, power, exponential, factorial, logarithm, and other operations. ▪ Entering a long series of calculations and then returning the accurate results. ▪ Supporting four directions rotation,So you can Simply rotate your device. ▪ Do you always think the single theme is very monotonous? Now is the time to introduce some exquisite themes of our calculator. 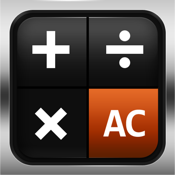 Calculator HD Pro has multi-type themes , business type , elegant type, fashion type, lovely type, etc. It will offer you much more than other calculators.